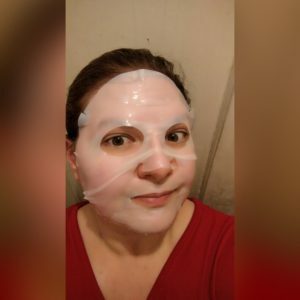 If you prefer the less exciting route like myself, all sorts of face masks can be found in pretty much any drugstore, department store, and of course specialty spots like Sephora. 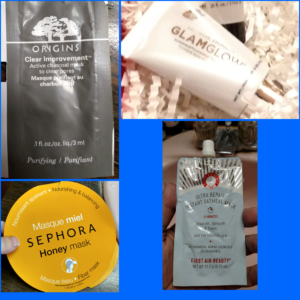 Since I receive a few beauty box subscriptions (face masks are a popular sample! 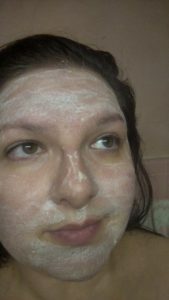 ), and I am always on the lookout for that Amazing Product that will give me insanely perfect skin; I find myself with a hearty supply of masks ready and waiting to be used. So, as a way to push myself to use them more often, and post more often, I am introducing Mask Me Monday! 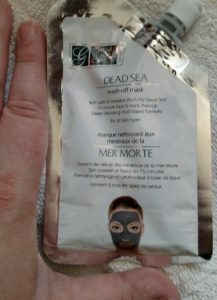 Today’s mask is the Global Beauty Care Dead Sea Wash-Off Mask. I received this in my March Ipsy Glam bag. So lets check it out! The ingredients are: aqua (water), diatomaceous earth, polyvinyl alcohol, maris sal (dead sea salt), algin, dimethicone, glycoproteins, beta-glucan, cetyl alcohol, betaine, l-ascorbic acid, carbomer, triethanolamine, dmdm hydantoin, parfum, carbon black. I have heard about diatomaceous earth (or DE) before, so I did a little looking, and found some information about it. DE is made up of fossilized, hard-shelled algae called Diatoms, and has a very high Silica content. 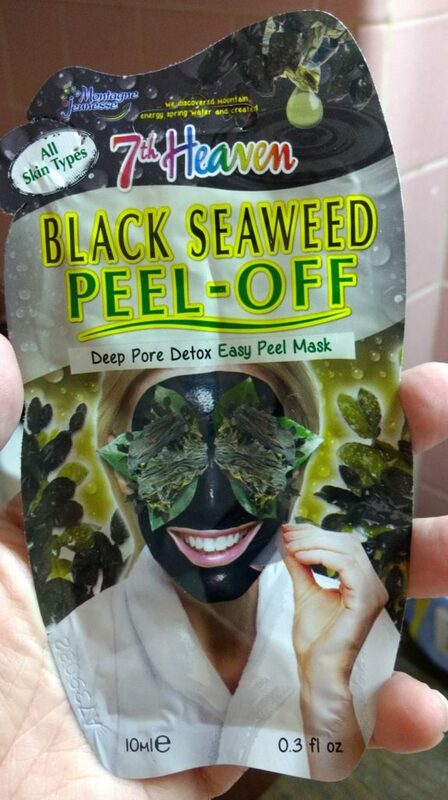 This makes a lot of sense as an ingredient to me, given that this is a Dead Sea mask. 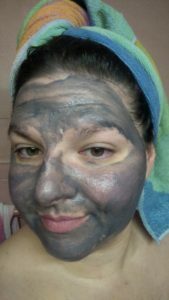 DE has an abrasive quality which is good for exfoliating, but the particles are fine enough that they are not likely to cause skin irritation, and the silica content is able to sort of “sweep” the dirt that may be clogging the pores. At least that is what I was able to learn after I did some digging. Since it was the second ingredient listed (after water), I wanted to know what its purpose was. I was also curious about the polyvinyl alcohol, since it came before the actual Dead Sea Salt in the ingredients list. 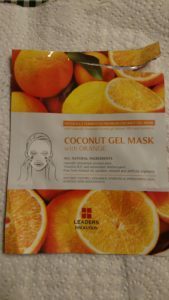 A quick search informed me that this is a thickener and/or binding product often used in cosmetics; given how much I liked the texture of this mask, I’m ok with that. The very first thing I noticed is the color, a deep grey, almost blue color. Also, despite being a “mud” treatment, this has a very fresh scent, it actually reminded me of body lotion or soap, something with a soft, clean scent that wasn’t at all overwhelming. Also, for the sake of truly showing you what this mask is like…. I really enjoyed this mask. 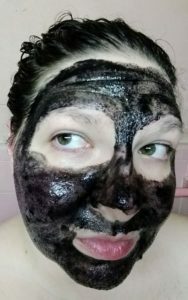 Not only was the mask easy to apply and comfortable to wear the entire time (does not dry up and get tight, nor did the mask drip or run in any way), but it rinsed of very quickly and easily. And my skin felt smooth and soft and refreshed after using it. This sample pack was a full ounce, one application only used about one third to half of the packet, so I’ll be able to get at least one more use out of it, which is always nice in a sample. When I looked it up to see what the purchase price would be, I found out the full size of this mask is five ounces, so you would get quite a lot of uses from it. While its price seemed to vary from site to site, all of the sites I found had it for under $20. So i’d call this mask a pretty good value. 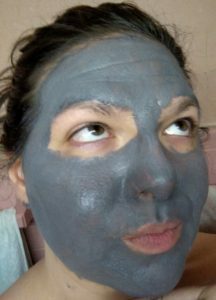 For me, the most important aspects of a face mask are ease of application & wear, comfort, and skin results. With those factors in mind, this mask gets top marks from me. 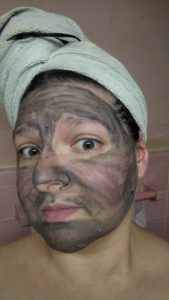 It was easy to apply, easy to wear, easy to remove, and left my skin feeling much better than before I used it. 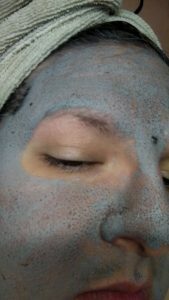 So, I would call this is an Easy mask: low effort with solid results. 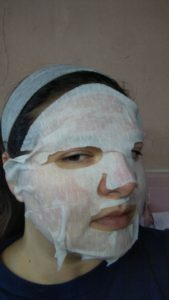 Does this mask sound good to you? 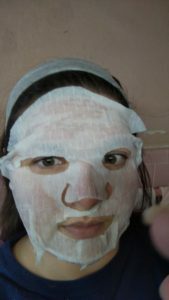 Do you have a favorite face mask you think I should try out? Let me know in the comments!